Aren’t we interested in reading the stories of successful lives emerging as the brightening star from the over gaze of the black shadows walking all down our way? Well, every time I will ask this question the answer comes yes from the depth of the heart holding the capability weapon to do any thing in life. The one who tastes the success after feeding a lot of hard work and hurdles has an another level of the kind which can be hardly explained through words. Someone has rightly said that a small step is itself capable of creating a revolution tomorrow and so the article topic. Here I will be covering the success story of one such man who alone becomes the reason for the existence of this app. For the enforcement of any successful project, there is always a reason behind it which drives it into the world of appreciation and only appreciation. Nitin says, If there was no power shut down in Gurgaon on that historical night then definitely we would have no sign of its existence. When Nitin came out of his house he met Deepak who was his neighbor and started talking about his recent projects and in hours they became friends. Nitin shared all about his publication and researches which he has done in these couple of years along with the thinking of the development of the Awesummly app. He saw people running fast as could to reach the work on time forgetting reading the daily stuff which makes them quite frustrated and upset. The very innovative idea lightened his mind to develop an app that will take care of all the problems of the people and so it is. But it was not difficult for the two to be straightened in their path. They roam here and there without any guidance and direction in search of their initial step. But find Ankit on their way which further softens down the Cody path and so the decision of their destiny. They tried up building many projects and ideas but all went in vain due to the lack of motivational and the hard working workers and take the whole stuff on their shoulder to drive their project itself to a new height of success. Rest is all before you and today what is it, is far more than appreciable. 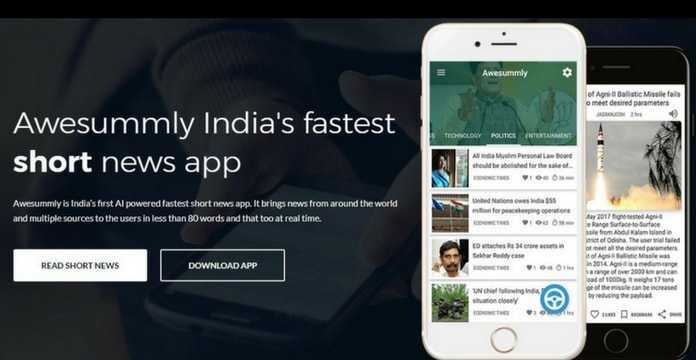 It has been rightly said that once you have been on your feet nobody has the dare to force you out of the path and today as a result of it, Awesummly app is one of the best leading short news apps. You can download awesummly short news app from the google play store or read news directly on their website. 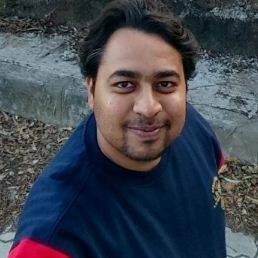 ABOUT THE AWESUMMLY FOUNDER, NITIN MISHRA. Earning a handsome salary and spending good times with their family members is always the choice of everyone but rarely one thinks of achieving something big in their life and so here is this man stands. The one who did M.Tech in Computer Science and working in the esteemed organization might be giving him a handsome salary but he had other plans for himself. In his speeches, he clearly admits that he is very much fascinated by the Entrepreneurs. In the initial stages, he encountered many hurdles and obstacles but pave the way from the very hard path with the support of his two friends Ankit and Deepak and his dedicated team work led them to make a reason for the existence of this awesummly app. Now the app has created a benchmark in the field of Startup Industries which you can hardly stop your fingers once scrolled down through its eye catchy appearance and features. The words are limited enough to highlight its importance and value. Bengaluru based NitroLabs Technology Pvt. Ltd responsible for the summarization of the Awesummly app has raised $146k in funding from Vivek Bhargava, chief executive of Digital marketing agency and Ameera Shah promoting manager of the Metropolis Healthcare. It has also received the golden egg from Mohit Goel, chief executive of Omaxe group and the investors Bhargava and Shah. Jatin Goel wished this app for its overpowering performance in the market fascinating the users towards itself. Definitely, this is remarkable and moving down with the best acceleration on its path. The company monitors on subscription based model providing the API to the news agencies getting the maximum profit from it. However, it was not their first priority and wanted to go with the ad based model but later on, the distraction and the undesirable effects awaiting anxiously to bounce on the back opened their eyes and they moved with this awesome plan. The app has been rated 4.9+ which is itself enough to speak words of it. Generating 15000 news daily with the visit of 26000 unique users and the page view of 52000 is far more than appreciable and that is why today it is India’s most trusted short news app. Started by the three amazing and the prodigy guys, the company has now a lot of dedicated members who sit hours and hours before the computer system to grab the maximum profit for it. The awesummly app provides the users with all the necessary stuff that they might be looking for. It is not that you have to download this app, one can also read it from the website with a closer view of the eye catchy features and this is the reason it receives the maximum number of views and likes from the people. So, what are you waiting for? If you haven’t this app on your device then immediately download and transform your way of reading news.